I've been daydreaming a lot lately about creating a vertical garden. They remind me so much of two of the most amazing places I've traveled: Manuel Antonio in Costa Rica, and Kuranda in Queensland, Australia. 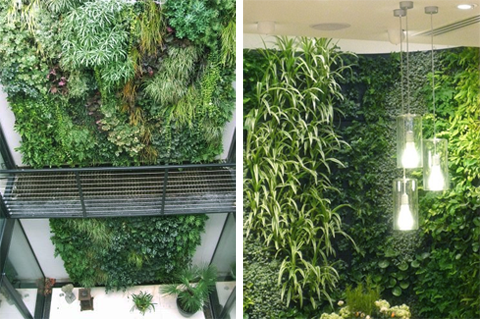 Visually stunning and eco-conscious (they help filter the air), these lovely wall gardens would probably be quite the cure for the winter blues. 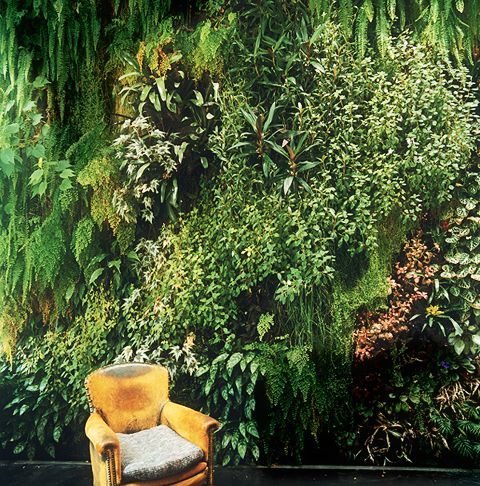 Have you experimented with making any type of living wall? They have one of these at the children's museum here in Kitchener! It is spectacular! These are so beautiful. One of my friends in San Francisco did something similar with moss and baskets. I really like the concept of being able to have gardens in urban spaces with less room.